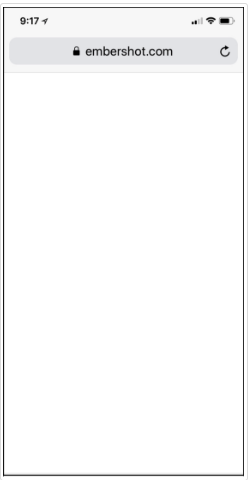 What does a recipient see when I send them a file? 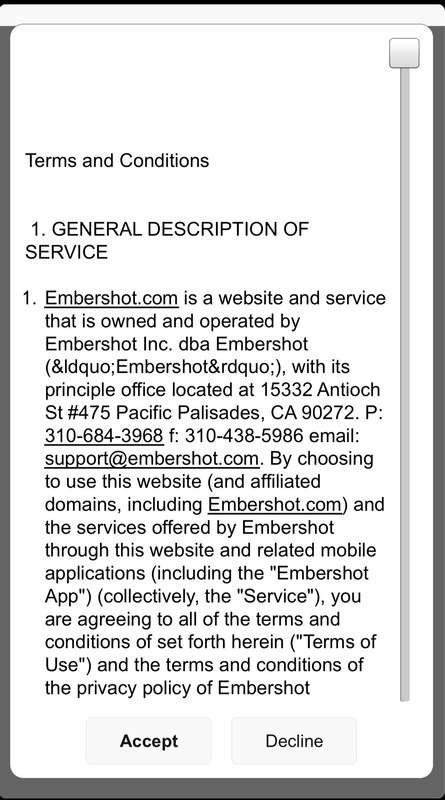 The receiver will be sent an email notifying them that they have received a new file in Embershot, with a link to view the file and details regarding when the file will expire (if it is set to expire). 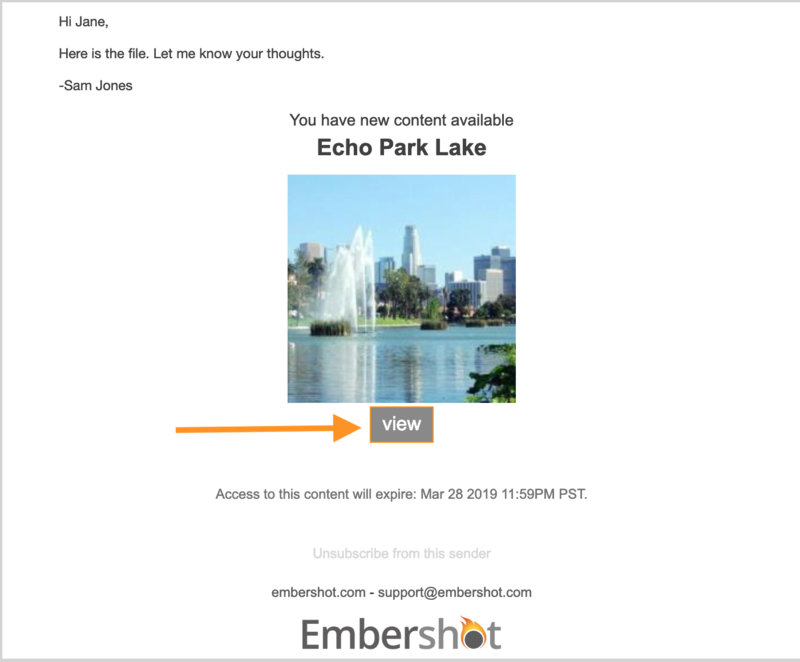 When they get the email, they must click on the "View" to view the file. 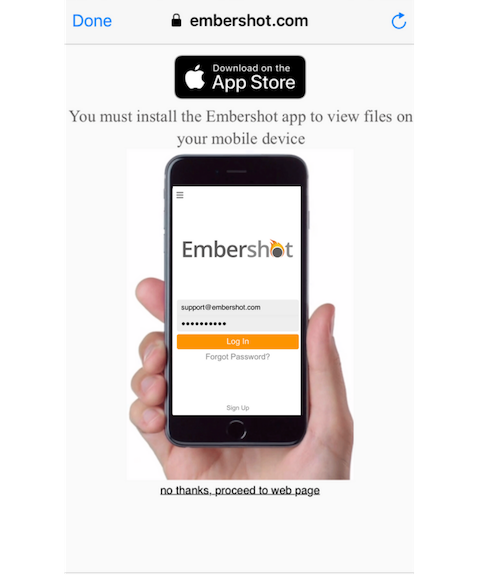 If they have never received a file on Embershot: If the receiver of the file does not have an account set up already, a new account will be set up for them automatically when you send them the file. They will be prompted to set up a password the first time they log in. If for some reason they are not prompted, (i.e. they had an account from before and forgot, or they clicked on the "Click here to view" multiple times), they will be brought to the login page. These users can click "Forgot password?" to reset their password. Note: Users must log in with the exact email address you sent the file to, otherwise they will get a "This file is not available" message if they log in with a different account. If they have already opened the file: The receiver will be prompted to enter their password and then be redirected to the file. If the user forgot their password they can simply click "Forgot password?" to reset their password. If the recipient is on a desktop computer, a window with the login screen will pop up. Once they have logged in, the file will immediately open in their preferred browser. 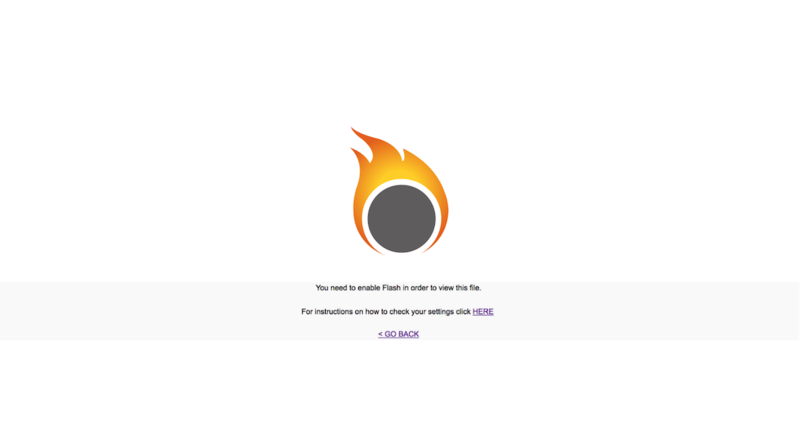 Note: Users must have Flash installed and enabled in order to view the file, (THIS IS HOW WE KEEP THE FILE SECURE). If they do not have Flash installed and enabled they will see this message which gives them device-specific instructions for enabling Flash. You can see those instructions here.